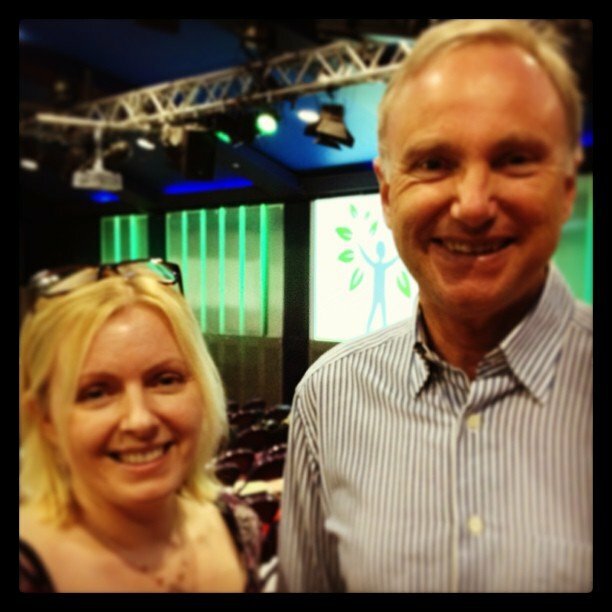 I was recently lucky enough to attend a conference given by both the world-renowned expert in Asperger Syndrome, Dr Tony Attwood and Dr Carol Gray, the inventor of the social story. The conference was organised by Freemantles School, a special school for children with autism spectrum disorders in Surrey. This post will focus specifically on one of Tony Attwood’s themes: Asperger’s and girls. Tony Attwood has already written a book about the subject, so if this article piques your interest, you might want to buy the book to delve deeper (link at end of article). As you know, I have two Aspie sons and have long suspected that I also am an closet Aspie (though my husband would counter that there’s nothing ‘closet’ about it!). After listening to Dr Attwood’s presentation, I could have cried - in so many ways, he was describing me! It has been generally accepted that the prevalence of Asperger Syndrome in girls is about 1:4 of that found in boys, but Dr Attwood believes this to be more like one girl to every two boys. The reason for the misconception is because girls with Asperger Syndrome present very differently to boys with the same condition and “fly under the radar of a diagnosis”. Whereas boys are more often diagnosed in their primary years, for girls it is not until they reach secondary school that the difference becomes more apparent, because girls’ coping and camouflaging mechanisms and their skill at imitating mean that they appear to assimilate with their neurotypical peers. The route to diagnosis also differs from that of boys and comes more often after a secondary disorder is diagnosed in adolescence such as Anxiety Disorder, depression, Borderline Personality Disorder, an eating disorder (as a method of control) or selective mutism (because they are overwhelmed). While her peer group moves seamlessly from childhood friendships into teenage talk, conversation and cliques, the Aspie girl finds herself internally cast adrift on a sea of choppy water and hidden whirlpools. She is unable to read the unspoken rules and meaningful glances that are so important to fitting in - though she often manages to cope by copying what the other girls do. Aspie girls, Dr Attwood said, learn how to adopt a persona for different situations and they have learned to act so well that many affected girls say “They don’t know the real me”. The drawback of this chameleon tendency is that it can lead to depression. Girls with Asperger’s can suffer intense fear of rejection, particularly surrounding their ability to make, but not keep, friends. They often have one friend who provides guidance and security. I myself remember the isolation when my one friend was off school and the sheer terror at the thought of approaching other groups of girls, not knowing how to approach them or what to say. Would anyone have guessed that to look at me? Of course not. And while fitting in at primary might be easier for girls, when they hit adolescence and they find that conforming to social convention goes wrong more often than right, the pendulum, Dr Attwood says, can often swing the other way. 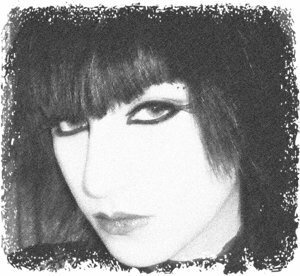 This is sometimes demonstrated by the visible rejection of everything they feel they are not good at, i.e., being one of the in-crowd or the “popular girl cliques” and choosing to wear black clothes, tattooing, piercing, and sometimes, more worryingly, falling into promiscuity or the use of drugs. For me, this is the girl saying, “You don’t want me? Well I don’t need you either; I can go my own way.” It is a self-preserving decision not to compete against odds stacked against her. Linking up with other, similar ‘alternative’ people can bring friendship. Again from my own experience, I had a group of friends when I was 17 and 18 who were all a bit different in their dress and/or attitudes. They were mainly male. The best thing was, they accepted me, were happy to hang around with me and most of all, were not judgemental. But Dr Attwood explained that social situations also bring other challenges for Aspie girls such as “social exhaustion”. Social interaction and the constant state of alert needed to sustain the “mask” is physically and mentally draining and requires periods of solitude to recover. Likewise they avoid “needy” people, only call people when they have something to say and prefer online communication which is, of course, completely controllable. If you are the parent of a teenage girl with who has (or who you think may have) Aspergers, it is also important to be aware that they may perceive using their sexuality as a way to be popular, which as we all know (or know now we’re older) is never a good idea and is rarely successful at making female friends. They are not good at character judgements and so may leave themselves at risk of what Dr Attwood calls “relationship predators”, who can smell vulnerability a mile away. So what can be done to ensure that girls affected by AS benefit from early diagnosis? Well there is some good news: Dr Attwood has developed a new set of diagnostic criteria that is currently undergoing evaluation and that, when implemented, I believe will revolutionise the field and enable more girls and young women to access the help they need. It is so important that paediatricians get educated about the different way that girls with aspergers present. My own daughter is only 6 and we were fobbed off for almost 3 years. Due to having a teen boy with aspergers I knew enough to stand my ground and when she was finally seen by the relevant people it was obvious to them the huge effort she put into copying the social “norms” and how there was no way she could maintain the effort for long. She got her diagnosis and is now receiving appropriate support. Tony Attwood should be listened to more! I certainly have aspects of this in my own character – and I wonder about my youngest child, but because she is overtly sociable (too much) and is very clever, school don’t seem to think there’s any problem. This is because they’re trained to view ‘special needs’ only in certain ways, whereas my husband and I can foresee problems a few years down the line because of her lack of awareness of danger and her assumption that everyone is her friend. I will keep trying. I’ve had to fight enough for my autistic son. I am 95% sure my youngest daughter has Asperger’s, and pretty sure I am somewhere on the spectrum. I am in the process of getting youngest diagnosed, but I am wondering about my middle daughter, 11, who is increasingly having trouble fitting in, has no self esteem, and generally prefers to play with a group of boys up the road. She can’t handle being with more than 1 girl at a time, but is fine in a group with boys…definitely she is different, at any rate, but diagnosably different? Hard to say. She has sensory integration disorder, especially with proprioception and…forgotten the other, but she is sensory seeking which is what led to the appearance of ADHD when younger (but didn’t meet the criteria). So maybe it is just that. Hard to say, and I will await the new criteria with interest. All three of my boys are on the autistic spectrum. I remember someone loaning me Claire Sainsbury’s ‘ A Martian in tbe playground’ and asking me if I could relate the book to my boys experiences. I could, but what tbe book most closely described were my own experiences of school. I doubt that I would meet tbe criteria for a diagnosis of Asperger Syndrome now but I am most definitely not neurotypical. Interestingly my ‘best friend’ at school also has a son with ASD. It was a few years ago now that we sat reminiscing about our school days over a bottle of wine and the penny dropped, we realised tbat we were both probably AS. We were both well into our forties and comfortable with who we were, but my friend had had an eating disorder and depression in her teens and twenties and though I had coped better life was pretty challenging untill I stopped trying to be like everyone else and started to be me. I too await the new criteria for girls with interest. Better recognition at an earlier age will I hope make life a lot easier for girls on the spectrum. I have read t5his article with interest. I too have a daughter with AS fortunately here diagnosis was done at age 7 but it was apparent that she had pronounced difficulty in social situations. Now at the age of 15 she has anxiety disorder and panic attacks. and although her needs are recognised in school. Mainstream schooling has a problem meeting these needs. I still maintain a mainstream school is preferable but more funding must be made available to meet the needs of children with additional support needs. Reblogged this on Kirklees PPS. Tony since revised this by saying he believes the gender ratio is equal. Thanks -have you got a reference for this? There are a couple of places, one was on Channel 4 “Born Naughty” Episode 2 (http://evolutian.wixsite.com/planetautism/autism-research-and-media) and I think he said it on a Network Autism brief interview too. Dr Judy Eaton believes the same. Can’t remember if it was Tony Attwood or Dr Judith Gould who might have said it on Network Autism. I’m fed-up with the outdated view that it’s not equal, because there is now so much recognition females are not being diagnosed due to different presentation and masking, misdiagnosed with other conditions or only diagnosed with the co-morbid mental health with the underlying ASD not being diagnosed. There are thousands of undiagnosed autistic females out there.